English is spoken (very well) at the Barbi tasting room! Our American and British friends come to visit us at the tasting room because they enjoy tasting our estate’s current releases as well as a wide range of older vintages that owner Stefano makes available every week. But they also come because they that English is spoken there. Indeed, it is spoken very well! 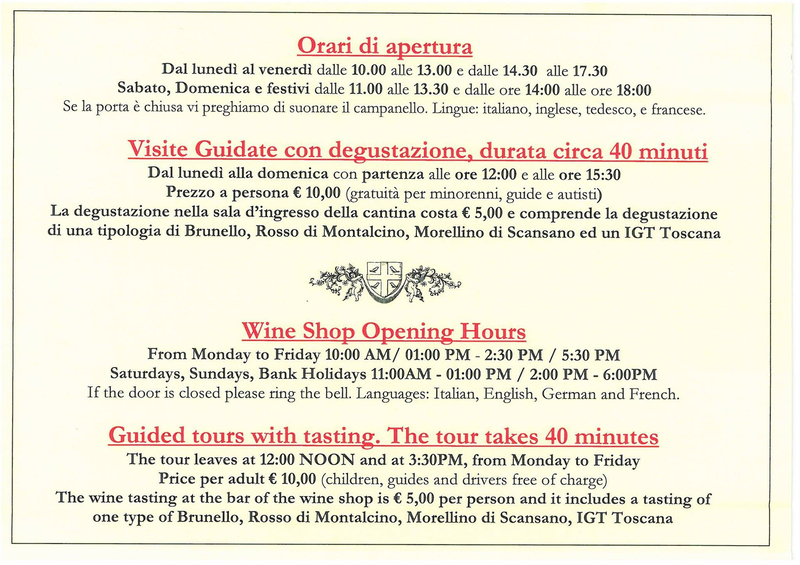 On a recent visit to the estate, an American guest commented on what he called the “excellent presentation of the wines, in flawless English!” In fact, our tasting guides are all multi-lingual. Click here for contact info and location. Please note that reservations can be made via email.